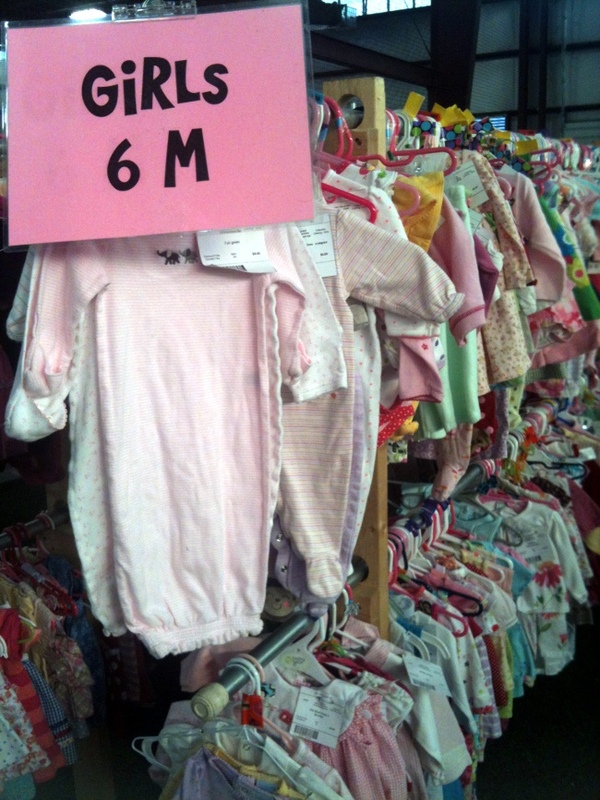 Here in Fredericksburg, the buzz in the parenting community is all about the Weecycled Wardrobe sale — a large consignment sale of children’s clothing held twice a year. I have never been before but boy did I hear about the sale and all the great bargains to be had, by just about everyone. So, this spring I decided to check it out myself. I like a REALLY good deal, so I waited to go until the evening of the last day of the sale when much of the inventory was 50% off. The parking lot was jam packed. 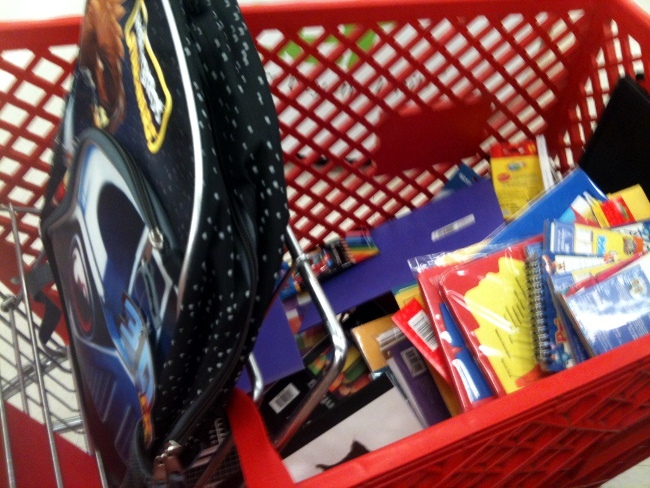 People were walking in with large baskets and walking out with racks full of clothes. As I walked in, the greeter advised me how to navigate the sale and lamented that there was “nothing left” and I would get a better sense of the sale if I came on the first day. She said most of what was left were baby clothes. Still, I knew that there were still treasures to be found so off I went. The first section of the sale was clothing and it was true that all sizes for children older than 5 were thoroughly picked over. There were still some good finds but nothing that caught my eye. It has been a learning experience for me how rapidly clothing prices increase as children grow from babies to kindergarteners and older. There are a lot of cheap baby clothes out there but not so much for older children. 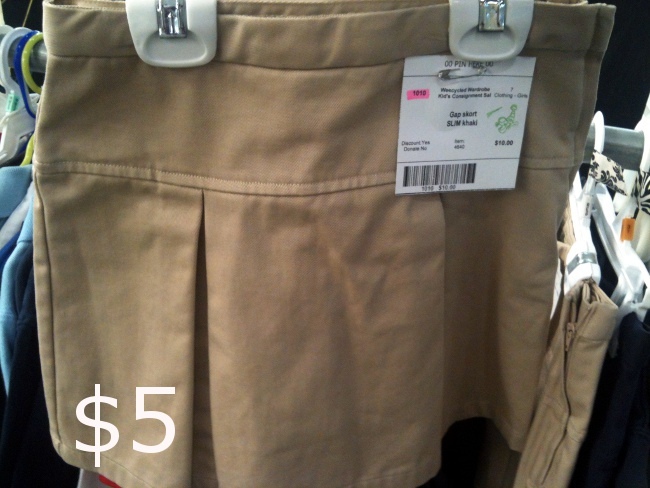 In the school uniform section, I spied a cute khaki skort that I thought would work well for fall with sweaters and tights. Then it was on to another section of toys and baby furniture. Most of this section was gone but there were still several toy kitchens, bouncers and playmats to be had. We didn’t need any of this so we ventured on. We got to the shoes section which was still quite stocked. 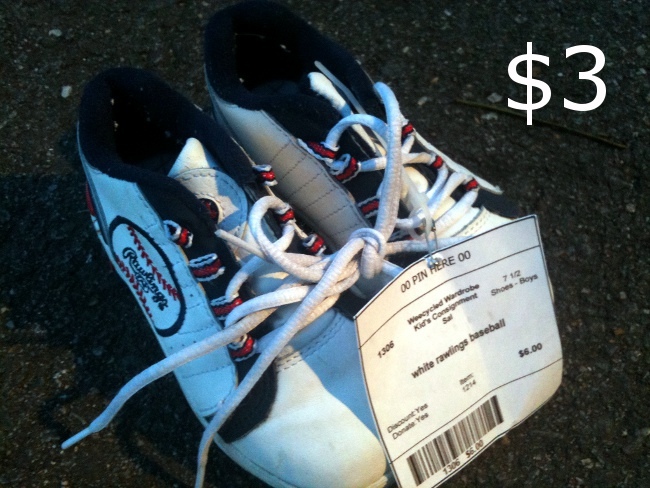 I know many people are turned off by used shoes but they make a lot of sense for kids. 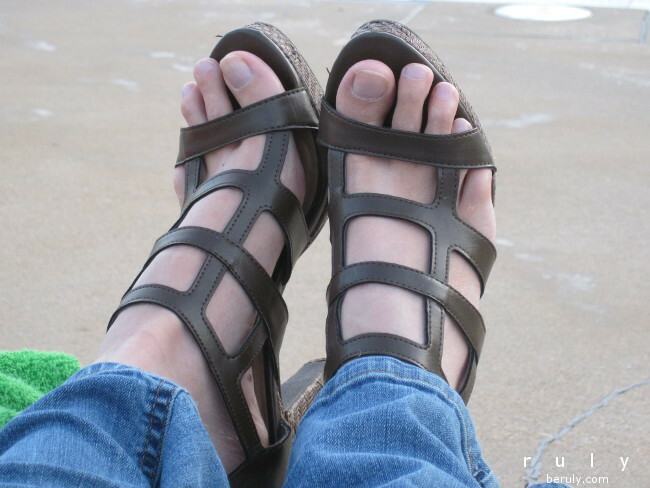 Most kids outgrow their shoes before they wear them out. This is especially so for baby sizes. 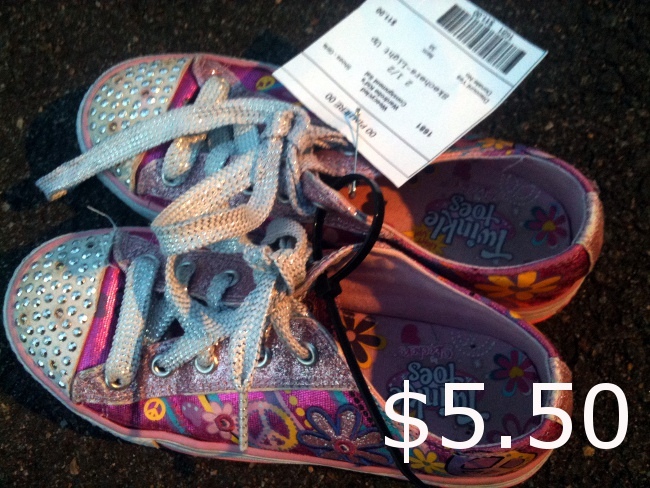 Shoes are also one of the more expensive clothing items kids need. So, I found quite a few bargains here. Skechers light-up sneakers. They will probably be last season’s trend by the time my kids wear them but they will enjoy them just the same. A second pair of Skechers for my younger dauhter. 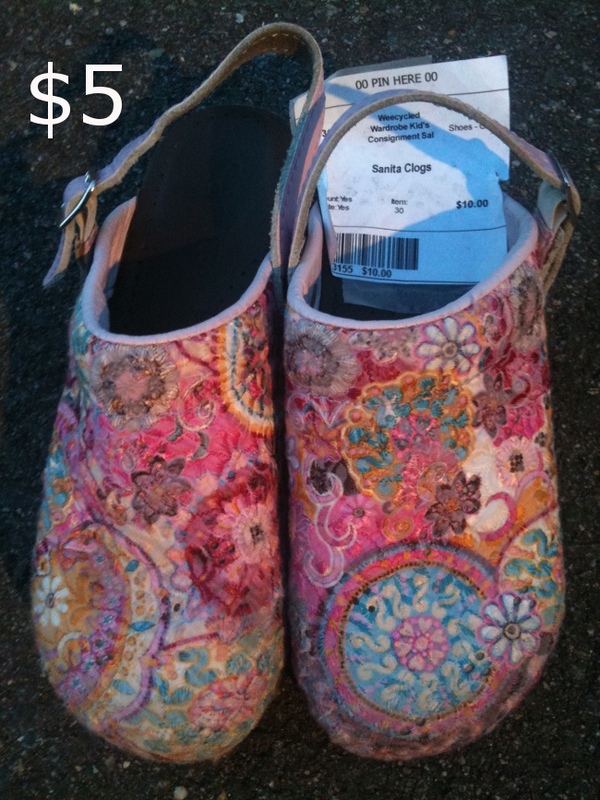 We’ll find some cute laces to dress them up. 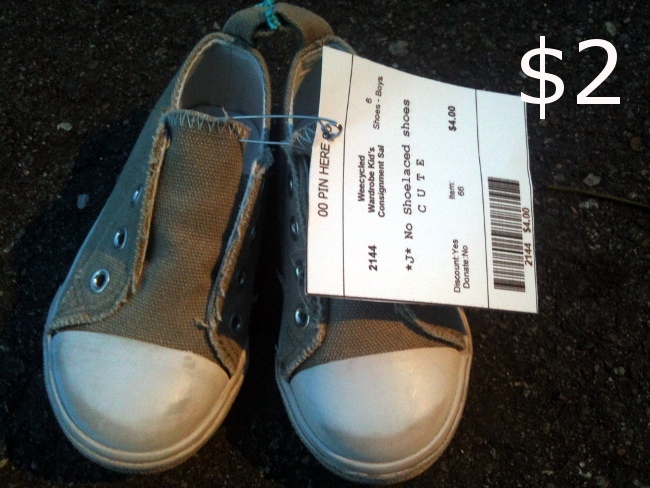 Baby converse-like shoes. I agree with the “cute” label on the tag. Next, it was on to the toys section. 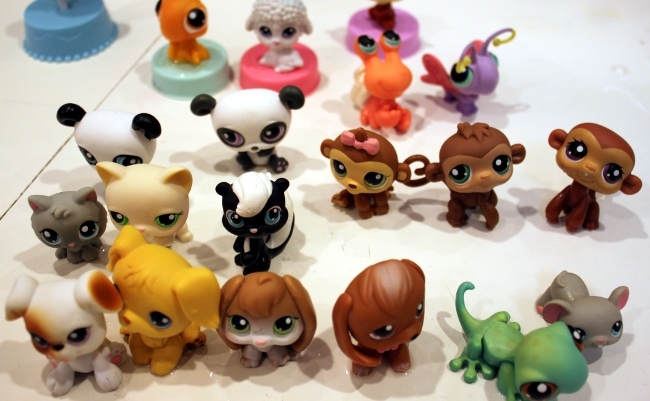 I had one objective here, to find my eldest daughter’s current obsession, Littlest Pet Shop. These toys generally cost a few dollars per pet. I was hoping that someone might have outgrown their collection and I was in luck! 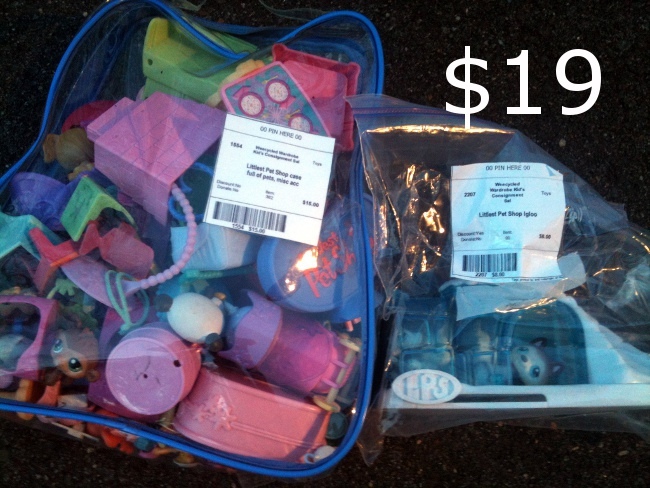 A huge mixed bag of pets was $15 and a second set with 3 pets and an arctic scene was $4. We also found some little cars for my vehicle-obsessed son. 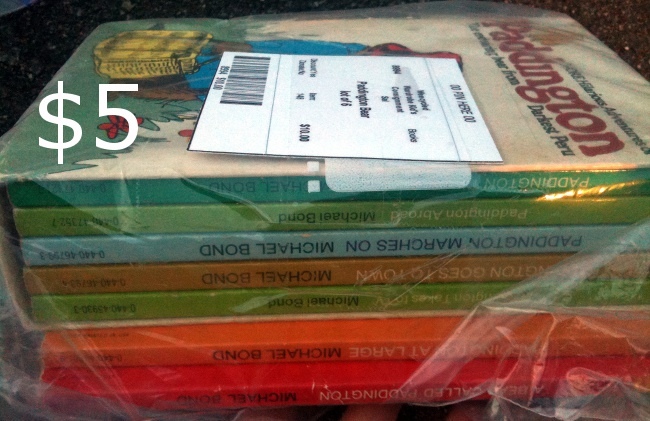 Browsing the book table, I came across a complete set of the Paddington Bear books for $5. I had just placed these on my daughter’s wish list! 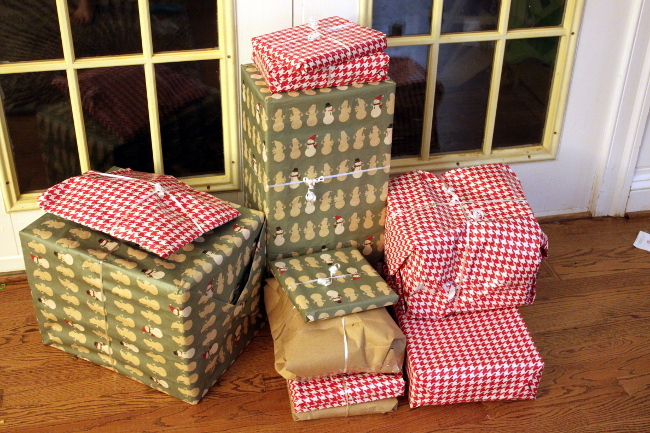 We will save them for Christmas as we are already working through two book sets from last Christmas. When we got home, I tossed all the shoes into the washer with some soap and a little bleach. They came out looking bright and clean. 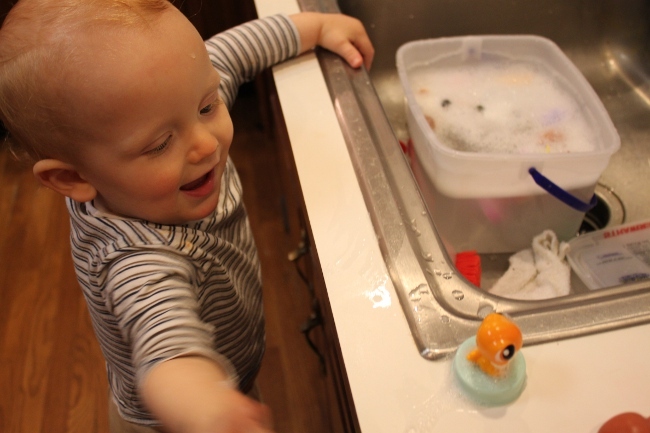 My son also helped me wash the LPS collection with soap and bleach. Fortunately, there were quite a few pets in the collection of “stuff.” The pets are the most important parts to my daughter. 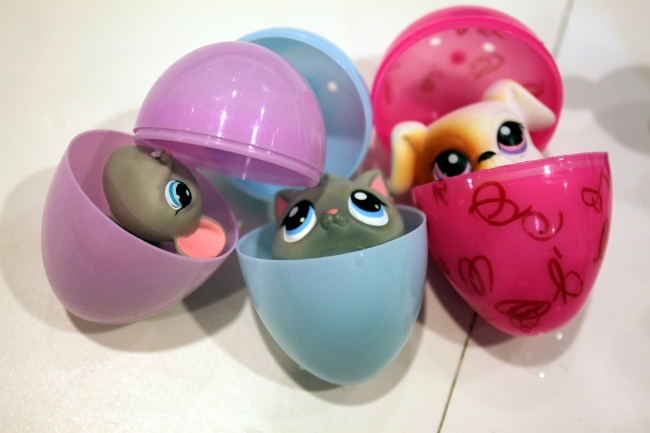 They also fit quite nicely into our plastic Easter eggs and will make quite a surprise for her when she finds them on Easter. There are even plenty to share with her little sister. 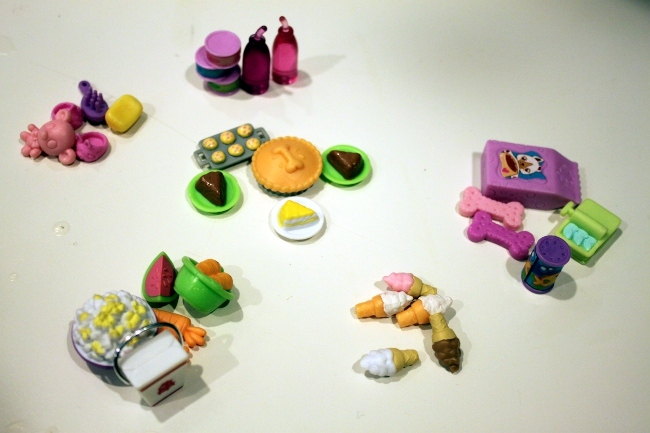 There were many “accessory” toys in the bag as well and I grouped those into eggs as well. 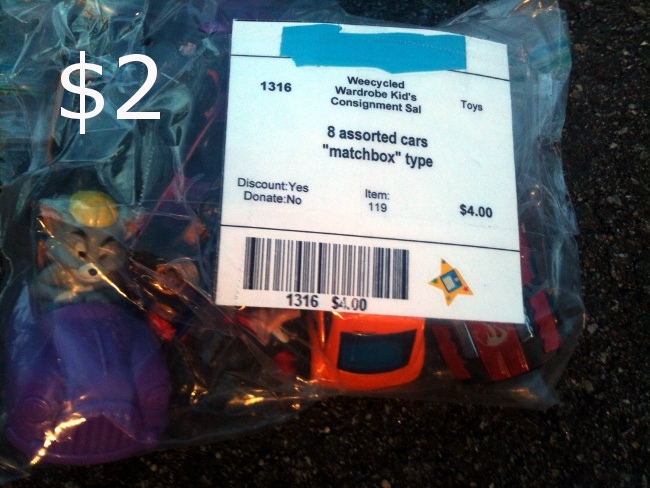 There is still a ton of stuff to go through in the LPS bag. I can’t quite figure out what some of the stuff is. Some of it looks like toppers for a birthday cake so we’ll stash those away until her birthday in the fall. There were some cute pet strollers and dog beds so we’ll have to figure out how to work those in. I might save some for Christmas. My daughter is so creative in making her own accessories and toys for the LPS collection that I don’t want these toys to dampen her creativity. So, we may dribble the pets and accessories out little by little. My daughter, the LPS enthusiast and one of many LPS creations she has made. 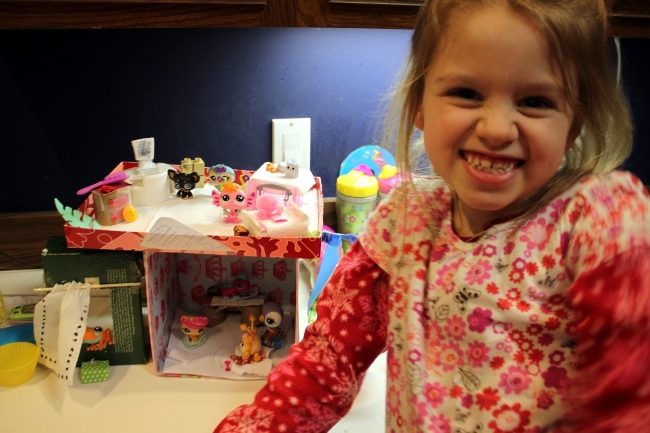 Using shoeboxes and paper, she made everything from a house with a swing, a shower and even a computer! Overall, I am very happy with my purchases and think I scored some great deals. I’m not sure I would go earlier next time. 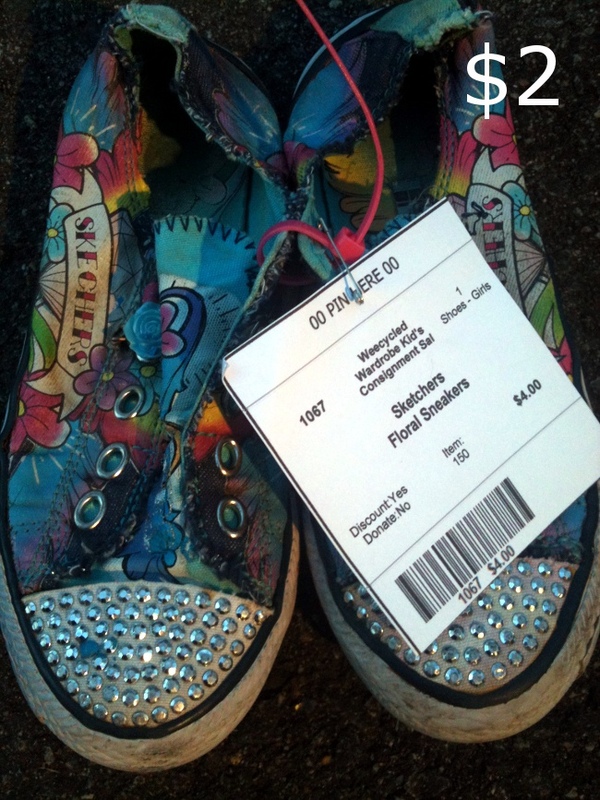 My shopping expertise tends to be more about finding hidden gems rather than battling for the few best treasures. How do you feel about consignment sale shopping? What shopping strategies do you employ? Please share in the comments. *I am not affiliated with the Weecycled Wardrobe sale.